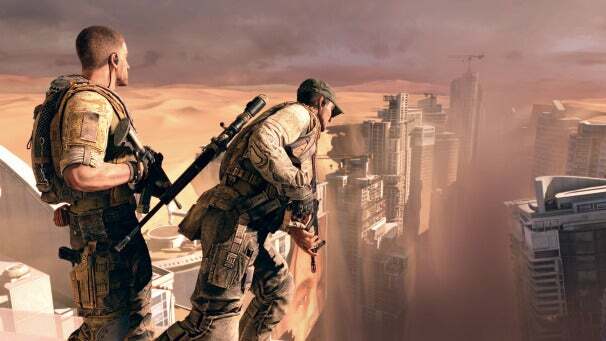 After hearing nothing about the game since its original debut back at E3 2010, I was worried that Spec Ops: The Line had gone the way of many other MIA titles and been quietly cancelled. Thankfully, not only has it not been cancelled, developer Yager Development has been using the last two years to completely re-do the simple things in an effort to get this just right. After having gotten some hands-on time with the game at this year’s PAX East, I think it’s safe to say that Spec Ops: The Line is easily one of the most intriguing and different shooters in recent memory. During my demo a pre-rendered cutscene explains everything that happened before the U.S. authorized military action in Dubai, abandoned after it was ravaged by a devastating sandstorm. 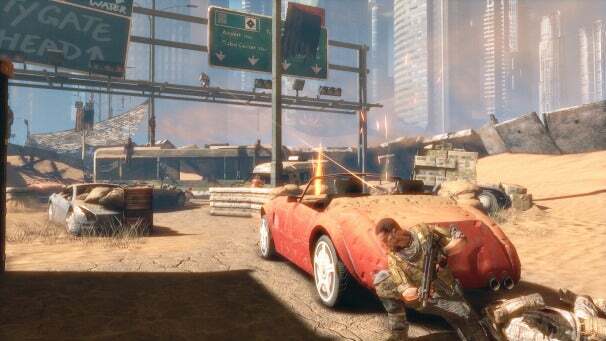 You play as Nolan North – err, Captain Martin Walker as his squad is sent to Dubai after a distress signal from a group of soldiers who are unaccounted for after the city evacuation. It soon becomes clear that this squad, presumed missing, is not only alive but has disobeyed orders and set up camp in the city. This rogue squad is led by John Konrad, and while the demo skips around so that things weren’t spoiled it’s clear that Konrad is searching for something within the city. It could be said that the main focus of Spec Ops is it’s willingness to put narrative before innovation, and while I wouldn’t necessarily disagree with that, there are enough interesting gameplay mechanics to make the extremely generic combat encounters interesting. Scripted events give players different ways to interact with the environment, such as shooting out glass ceilings to bury enemies under giant piles of sand, but I think the dynamic weather system is more interesting. When Captain Walker and his men are in open environments, sandstorms will start to blow through, making it extremely hard to fight and navigate the environment. It's a captivating gameplay modifier that changed the way I would normally approach situations, and while it was cool to see sand disrupt my vision I think it will be interesting to see if the developers can use the dynamic weather system in more interesting ways. Jumping back to my previous point about prioritizing narrative, after playing the game it seems the decisions made in Spec Ops will actually have consequences later in the story. Sure, most games try to sell that line, but from the few times I had to make a choice during the demo I could easily see the different outcomes wrapping back into the story somehow. Also, there was quite a bit witty dialogue and back-and-forth happening between the characters throughout almost the entire demo, which made it seem like the developers were hoping to add some levity to the situation (as Naughty Dog did with the Uncharted games). So while the combat might feel a bit generic, the premise and narrative focus of Spec Ops should not be ignored. 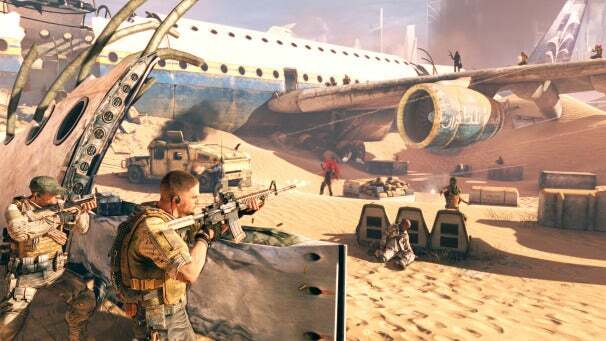 If done properly, dynamic changes in environment and consequential player choices could be Spec Ops’ saving grace, but I think they’ll need to do much more than was shown in the demo to make the game entertaining. We can only hope that the past two years have been put to good use creating content that will distinguish Spec Ops: The Line from the dozens of other shooter releasing this year.